be conducted in either language. Historically, and up until about 1972, jurisdiction in matrimonial causes such as divorce, nullity and judicial separation and for those child custody and financial matters arising in matrimonial causes proceedings laid exclusively with the then Supreme Court, now the Court of First Instance of the High Court, although the Magistrates’ Courts also had some limited jurisdiction in dealing with certain types of separation and maintenance orders and child custody matters. In 1972, through legislative amendments, jurisdiction to hear and determine a matrimonial cause was for the first time conferred on the District Court. While the matrimonial causes proceedings would be dealt with by a Judge of the District Court, financial applications were at that time dealt with not by Judges but by Registrars / Deputy Registrars, or later called Masters in the then Supreme Court. At about the same time, jurisdiction for the applications for other separation and maintenance orders and child custody matters previously dealt with in the Magistrates’ Courts was also transferred to the District Court. By the second half of the 1970’s, it was becoming apparent that the length and complexity of family cases, in particular those involving the ancillary issues of custody and financial provision, were increasing. This resulted in a separate Family Registry Office being created in the District Court Registry in November 1976 with an administration staff to deal with the administration side of family cases. It was also during this time that appeals were first made by the family law practitioners to the then Chief Justice for the setting up of a specialized Family Court. Subsequently, on 1 March 1983, amendments to the then legislation were introduced making it mandatory for a matrimonial cause and any other proceedings under our Matrimonial Causes Ordinance to be commenced in the District Court, subject to the power of the District Court to transfer proceedings to the Court of First Instance of the High Court. Although this was seen at the time as a “downgrading” of the family jurisdiction, concrete steps were taken by the Judiciary at about the same time to create a specialized section in the District Court for family cases. As a result, a ‘notional’ Family Court was established within the District Court, with two Judges assigned by the then Chief Justice to hear only matrimonial and family cases, including financial applications formerly heard by the Masters, and also private children cases. There was no special legislation, or any rules of court or any practice directions providing for the establishment of the “notional” Family Court, although those two Judges became known as “Family Judges”. At that time, the two Judges were “selected” from among the judges in the District Court taking into account their past experience in family cases and their indication of interest in hearing family cases. The designation of these two Family Judges heralded the beginning of the concentration of family jurisdiction in the District Court. Due to the heavy workload in the Family Court, the number of Family Judges increased to four by 1994. During that year, there was a renewed joint appeal from the Family Law Association, the Bar Association and the Law Society of Hong Kong in relation to the establishment of a ‘formalised” Family Court. In 1995, recognizing the growth of family cases and the need for further strengthening of the Family Court, the then Chief Justice, for the first time, appointed a private practitioner specializing in family cases to become a Family Judge. This was followed by the appointment of another private practitioner specializing in family cases in 2003, and a third one in 2007. In July 2006, one of the Family Judges was appointed the Judge in Charge of the Family Court, who was subsequently appointed the Principal Family Court Judge when the post was created in September 2009. This was generally regarded by the practitioners to be a further recognition of the importance of family cases. / maintenance of a child, or property division / financial provisions for a spouse. Allocations of cases at the Family Court level have been regarded as part of an administrative process and normally a Family Registry administrative staff will distribute them according to the availability of each Judge, and whether the case is more appropriate for a bilingual judge who is conversant in both English and Chinese languages, or a monolingual judge who is only conversant in English. In February 2009, during our Civil Justice Reform, a new practice direction was introduced, which provided a definition of the “Family Court” for the first time, as being the division of the District Court which is assigned by the Chief Justice to deal with matrimonial and / or family Proceedings. So far, the ‘informal’ concentration of family jurisdiction has worked well. At present, there are a total of 9 Family Judges in the District Court, who hear exclusively family cases, and these include applications for divorces / separations, child custody and access, parental orders, relocations, adoptions, protective orders under our domestic violence legislations, all financial applications, whether for a child or a spouse, and all enforcement proceedings as well. 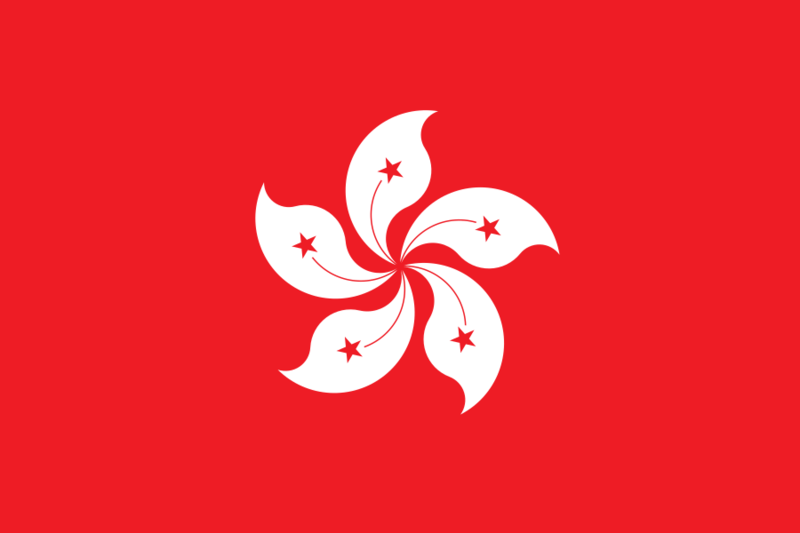 Currently, neither the Hague Convention of 19 October 1996 on Jurisdiction, Applicable Law, Recognition, Enforcement and Co-operation in Respect of Parental Responsibility and Measures for the Protection of Children nor the Hague Convention of 23 November 2007 on the International Recovery of Child Support and Other Forms of Family Maintenance has been brought into effect in Hong Kong. If they are brought in, it is anticipated that jurisdiction to deal with matters arising under these two conventions may also lie with the Family Court. After 1 March 1983, with the transfer of the bulk of the family work to the District Court, the number of matrimonial / family cases being dealt with in the Court of First Instance of the High Court has gradually decreased, even though family matters of high complexity can be transferred to the Court of First Instance of High Court by the Family Court. Notwithstanding the above transfer of the bulk of family work to the District Court in 1983, some children matters have remained in the exclusive jurisdiction of the High Court, such as Wardship and other inherent jurisdiction proceedings. Our Child Abduction and Custody Ordinance came into effect in September 1997. This gives effect to the Hague Convention of 25 October 1980 on the Civil Aspects of International Child Abduction. The Court of First Instance in the High Court was conferred exclusive jurisdiction to hear child abduction applications under this ordinance. Subsequent thereto, to deal with the increased work in this specialized area of family law, in November 1999, a Judge sitting in the High Court with experience in family cases was designated to be the Judge in Charge of the Family Cases List in the High Court, together with another Deputy High Court Judge. The workload was shared between them at that time, and other Judges as assigned and allocated by the Judge in Charge. The Judge in Charge was also appointed to be our representative in the Hague Network of Judges. In 2004, our Adoption Ordinance was amended to include intercountry adoptions and to give effect to the Hague Convention of 29 May 1993 on Protection of Children and Co-operation in respect of Intercountry Adoption. While local adoptions are dealt with by the Family Court, the Court of First Instance in the High Court was conferred exclusive jurisdiction to deal with intercountry and / or Convention Adoptions. Our current Judge in Charge of the High Court Family Cases List was appointed in July 2011. After his appointment, further efforts have been made to create a concentration of family jurisdiction in the High Court. Now, there is a “pool” of 7 judges of the Court of First Instance in the High Court designated to hear family cases in the High Court. A “docket” system has also been adopted for the family cases in the High Court. As there are not enough family cases in the High Court to justify a specialized division, the 7 Judges also hear other cases in the High Court. The family cases in the High Court are allocated to the individual judge by the Judge in Charge. There is no particular concentration of jurisdiction, although there are Justices of Appeal who have had experience in family cases and the family appeals are usually fixed before them. There were only very few family cases which managed to reach our highest court in the past years. There is no concentration of jurisdiction at that level. Unlike some other jurisdictions, we do not have a formal specialized Family Court consisting of different levels of courts. The workload particularly at the High Court level does not justify the establishment of a specialized “Family Division”. It is found that the present arrangement of having a Family Court only at the District Court level, with a pool of experienced judges in the High Court, both at the Court of First Instance and the Court of Appeal level, doing family cases, has been working satisfactorily. The 9 Family Judges in the Family Court have regular meetings about once a month when they will review and discuss any problems relating to the Family Court. The Judges in the High Court dealing with family cases also meet from time to time. (ii) As there is no formal training programme for new judges to the Family Court, the regular meetings between the Family Judges provide an opportunity for experience and information sharing among colleagues. These meetings are helpful in reducing inconsistencies in approaches particularly in areas where there is a wide judicial discretion.